The mozzarella rounds are fried in a skillet so that they’re crisp on the outside and slightly melted on the inside. Serves 3-4. Prepare salad first by whisking together your prepared balsamic vinaigrette with the mustard. In a large salad bowl combine the tomatoes with the salad greens and drizzle the dressing and toss. Set aside. 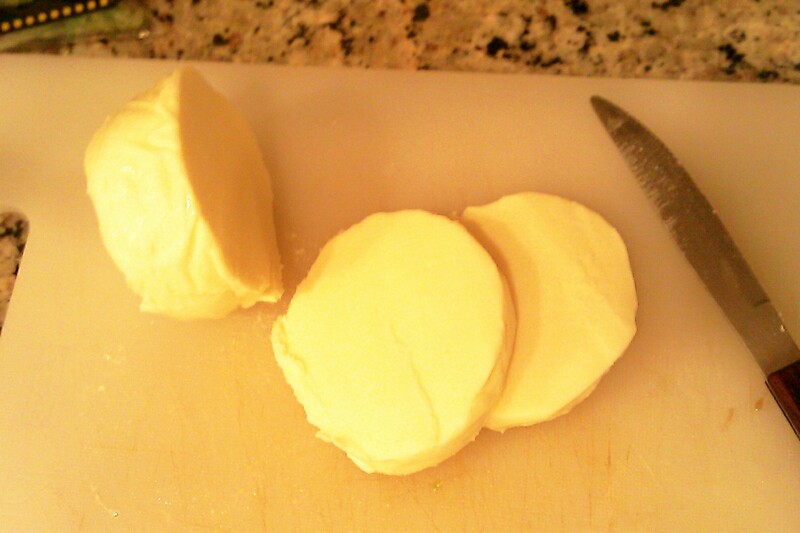 Slice mozzarella cheese into 8 eight rounds about 1/2 inch thick. Place flour in a bowl. Place beaten egg in another bowl. Combine pecans, Parmesan cheese and panko crumbs in a third bowl. 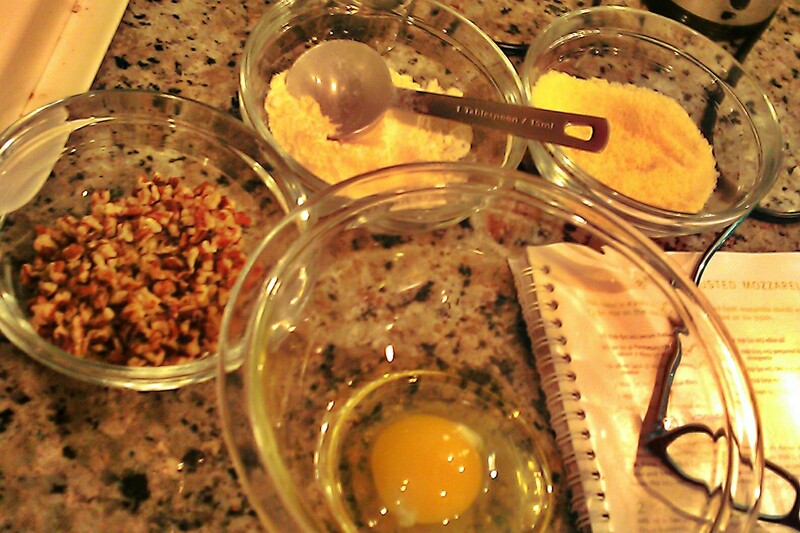 Dredge each mozzarella round in flour, then coat with egg, then coat with the pecan mixture. In a large non-stick skillet heat oil to medium and fry mozzarella 1 – 2 minutes each side until coating is golden brown and cheese softens. Note: Frying longer than 2 minutes per side may cause cheese to melt more and ooze out. Divide the salad and serve topped with mozzarella rounds. Oh man, that looks so tasty! Looks wonderful. I make a pecan encrusted chicken but never thought to put it with a salad & oh the mozzarella seals this deal for sure. Thanks! 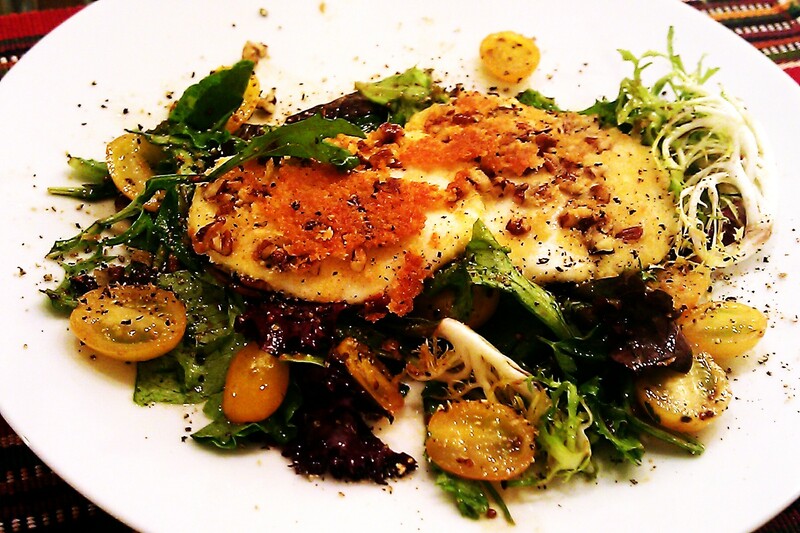 I always make the same salad so when I added the crusted mozzarella it was definitely a treat! So tasty to look at…my mouth is watering! LOL! This recipe makes me really miss cheese. I’m literally salivating. This looks amazing! I love everything about it!! This looks so delicious!! Love mozzarella rounds on salad!